An unusual still at Bruichladdich, not used to make whisky. 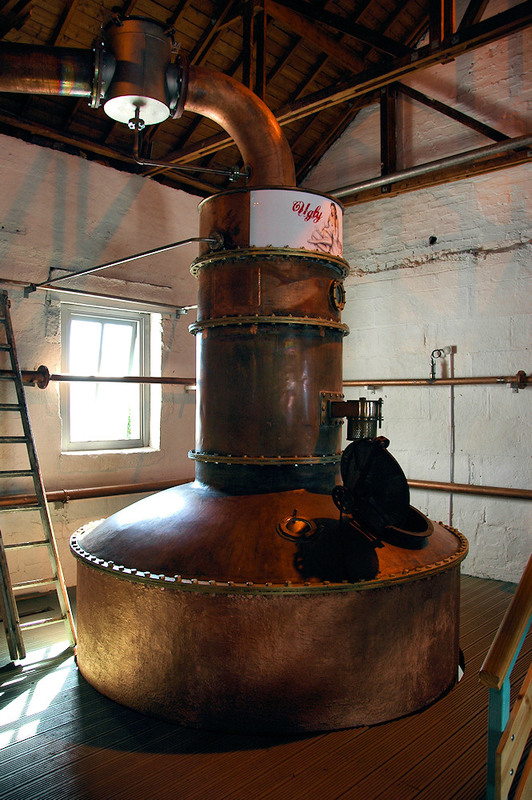 It’s a rare Lomond still, which is used to make the Botanist Gin, the only gin made on Islay. This entry was posted in Distilleries, Repost, Sunny Weather, Village and tagged Bruichladdich, Islay, Ugly Betty by Armin Grewe. Bookmark the permalink. Den Botanist hab ich zuhause. A fine dram it is, indeed !! !